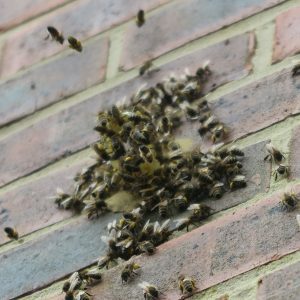 The bees in observation hive have survived the winter and are now frantically building up their reserves. 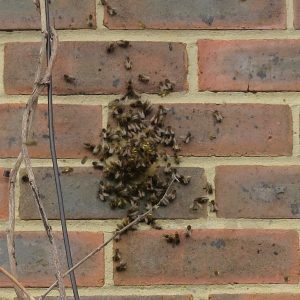 This is the queue at the protruding plastic tube leading through the wall to their hive. They are loaded up with bright yellow pollen. The first batch of young bees has emerged and a lot more are on the way. Soon, I suspect they will have to be moved to a nucleus before graduating to a full size hive.